The registration amount paid at the time of booking, is not refundable and interest free. All the payments by the customer shall be made in accordance with the procedure laid down in the brochure. The bookings will be processed by the Company only after the registration amount is paid in full. High season surcharge as per the rules of the Airline concerned has to be paid by the Customer. Any increase in airfare, airport taxes, visa charges, fuel surcharges after the booking/registration will have to be paid and borne by the customer. Air Ticket Cancellation charges plus deposit forfeit charges as are applicable under the rules of the concerned Airline are to be paid by tourist immediately in the event of cancellation of the tour by customer. You, or any member of your party, may cancel their travel arrangements at any time. Written notification or an e-mail to that effect from the person who made the booking must be received at our offices. The applicable cancellation charges are as per the published cancellation policy below. In case of force majeure conditions, the Company reserves the right to change / modify / vary / alter the tour itinerary and/ or tour tariff accordingly. Such changes etc.shall be intimated to customer, prior to the start of the tour or on tour as the case may be. Additional charges, if any, due to such changes etc. over and above the tour tariff have to be paid by the customer before or on tour itself as the case may be. No complaints /compensations and/or claiming of refunds by the customer will be entertained by the Company for limitation and/or non- availability of certain services including museums, restaurants, sightseeing, shopping etc. even though included in tour itinerary. (b). Due to certain unavoidable circumstances, other than force majeure conditions, if any day of our is curtailed/any sight seeing missed/any other services not being provided due to some reason from Company's side, then the Company shall be liable to refund the customer, only that portion of the tour amount arrived at for that missed day/missed sight seeing/missed services. In all circumstances, However, no other demand will be entertained nor any other payment will be made by the Company in this regard. After confirmation of services, if you wish to change your travel arrangements in any way, for example your chosen departure date or accommodation, we will do our utmost to make these changes but it may not always be possible. Any request for changes to be made must be in writing from the person who made the booking. All cost incurred due to amendment will be borne by yourself. Refunds if any, for variation/modification/amendments/alteration and/or cancellations etc. of any tour will be paid directly to the customer by 'A/C payee' cheque, in Indian Rupees at the prevailing rate of exchange on the date of the cheque, as per Reserve Bank of India Rules and Regulations, irrespective of whether the tour payments in part or whole were made in foreign currency. a) for any missed / unused services of the tour including the meals due to whatsoever reason. b) on certain conditions which include that such air tickets are non refundable and date change is not allowed. Fundoo Vacations charges a service fee on all airline/rail bookings. In case of cancellation of booking, this fee is non-refundable. The idea of this policy is to educate the user as to what personal information is being captured by us and where the same is being used. It describes the principles and practices that apply to Personal Information (defined below) collected from users of our services ("you") on our Site, in telephone or e-mail communications, or in interviews, surveys, sweepstakes, contests, or raffles. The Company, without assigning any reasons, reserves the right to change any brochure information including Tour itinerary, tour tariff, departure date, number of nights at the destination and hotels before or after any customer makes booking and/or registration for any tour and or after the departure of any tour. The Company will endeavour to inform the customer of such changes as soon as possible. If you have a problem during your holiday, PLEASE INFORM THE RELEVANT SUPPLIER, (e.g. your hotelier, transporter etc.) and/or our representative IMMEDIATELY who will endeavour to put things right. If your complaint is not resolved locally, please follow this up within 28 days of your return home by writing to us, giving your booking reference and all other relevant information. However, please be advised that while we are happy to assist you in the redressal of your complaint, if any, we will be able to extend only our best efforts in managing/coordinating your complaint with the respective service provider. All third party service providers are independent contractors who at no time are under our control or supervision. We accept responsibility for ensuring that your travel arrangements, which you book with us, are supplied as represented and promised to you. If any parts of your travel arrangements are not provided as promised, due to the fault of our employees, agents, we will pay you appropriate compensation if this has affected the enjoyment of your travel arrangements. Our liability in all cases shall be limited to the costs of your travel arrangements. We do not accept any responsibility for any third party services or service providers, like hotels, transport etc. For example, travel delays are the responsibility of the transporters and inefficient hospitality is the responsibility of the hotels. We are only your tour operator and at no time do we act as managers for your respective responsibilities and personal obligations. We are therefore not responsible for your acts, misdemeanour, omissions and neither are we responsible for managing any of your personal affairs; for example, we are not responsible for ensuring the safety of your personal belongings, travel documents, etc. at any time before the commencement of the tour or after it or during the tour. It will be your responsibility to purchase any sort of holiday insurance cover and we are not responsible for the same. We cannot and do not guarantee the exactness of any service that may be provided to you. For instance, photographs of the interiors of the hotel rooms posted on our website have been sourced from the respective Hotel management, the visual appeal of a room selected by you cannot and is not guaranteed by us. Similarly, while we assure you of enjoyable holidays, we cannot and do not guarantee or represent that such tour will be as per your mental perception, imagination or thought about such tours. In case there is any change in price the same will be communicated to yourself and only after your confirmation, we will proceed further. There will be no reduction for un-utilized services .Surcharges may be applicable over and above the holiday price for the requested period. The same will be advised at the time of booking or prior to confirmations. You need to make an advance payment at the time of confirming the tour and make the balance payment 35 days prior to the departure of the tour. Please be advised that these are the sole and complete terms and conditions governing the tour operations, supplemented only by the User Agreement. No employees of our Company or our agents have the authority to amend, modify or change these conditions, and you are advised to rely on the terms "as is". 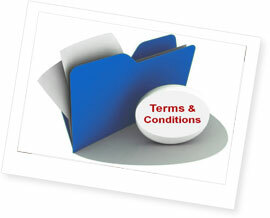 Fundoo Vacations reserves the right to change or modify these Terms and Conditions at any time without notice. We shall be within our rights to forfeit the non- refundable interest free deposit paid by you. In the event you cancel the booking, or on failure on your part to adhere to the tour payment schedule as informed in the documentation Check List, or in the event the visa of any country is not granted or you are unable to travel on the tour booked due to any reason whatsoever, including medical ground or sickness, the non-refundable interest free deposits shall stand forfeited. Persons, friends or relatives of the customers, who have not booked the tour shall not be allowed in hotel rooms, restaurants, coaches & sight seeing places or for any activity on the tour. Fundoo Vacation can not be hold responsible for any unpleaseant mishappings if any ocours during the tour such as Theft, any kind of accident, any kind of sickness etc. If any dispute arises between you and Fundoo Vacation during your use of the Site or thereafter, in connection with the validity, interpretation, implementation or alleged breach of any provision of the Terms and Conditions, the dispute shall be referred to a sole arbitrator who shall be an independent and neutral third party identified by Fundoo Vacation. The place of arbitration shall be Bhopal(Madhya Pradesh). The arbitration proceedings shall be in the English language. The Terms and Conditions shall be governed and construed in accordance with the laws of India.